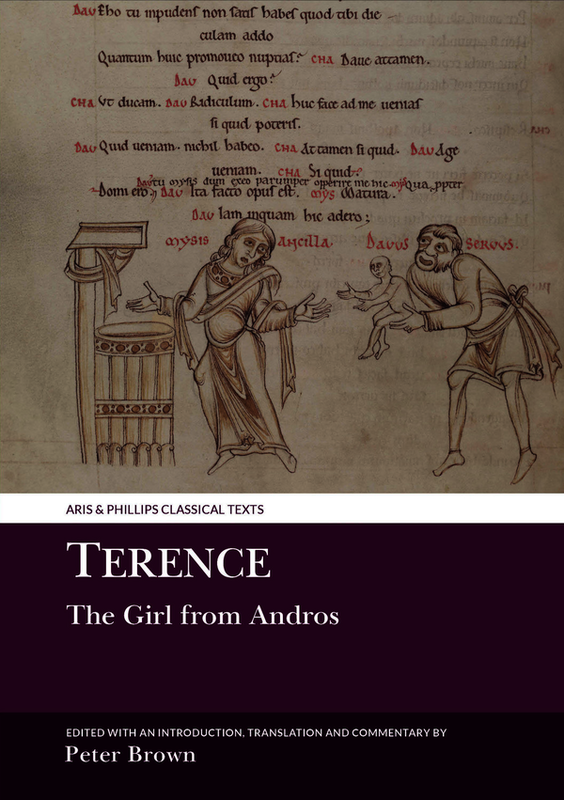 The Girl from Andros was the first play of the brilliant but short-lived Roman comic playwright Terence and shows him as already a master dramatist. It is based on two plays (both now lost) by the Greek playwright Menander and was first put on in Rome in 166 BCE. The main focus of interest is the plotting and counter-plotting of a devious master and his equally devious slave, but there are also two boys both in danger of losing the girls they love, and a girl in search of the family from which she has long been separated – typical ingredients of a Latin comedy. The play is a theatrical tour de force with many comic highlights and is enlivened by a succession of metatheatrical remarks; but it also provokes thought on various aspects of human relationships in a male-dominated, slave-owning society that jealously guards its rights of citizenship. It was the first ancient Latin comedy to be performed in the Renaissance and influenced a number of plays in succeeding centuries, most notably Richard Steele’s The Conscious Lovers (1722); it was also the inspiration for Thornton Wilder’s novel The Woman of Andros (1930). This volume includes the first detailed commentary on the play in any language for nearly sixty years. ‘Dr Brown's book fills a real need, with a right-to-the-point introduction and commentary. His translation stays close to the Latin, but that does not keep it from being brilliant by moments'. Peter Brown is an Emeritus Fellow of Trinity College, Oxford and a member of the Advisory Board of the Archive of Performances of Greek and Roman Drama at the University of Oxford. He has published extensively on Greek and Roman drama, and his translation of Terence’s Comedies appeared in the Oxford World’s Classics series in 2008. He was co-editor with Suzana Ograjenšek of Ancient Drama in Music for the Modern Stage (Oxford 2010).